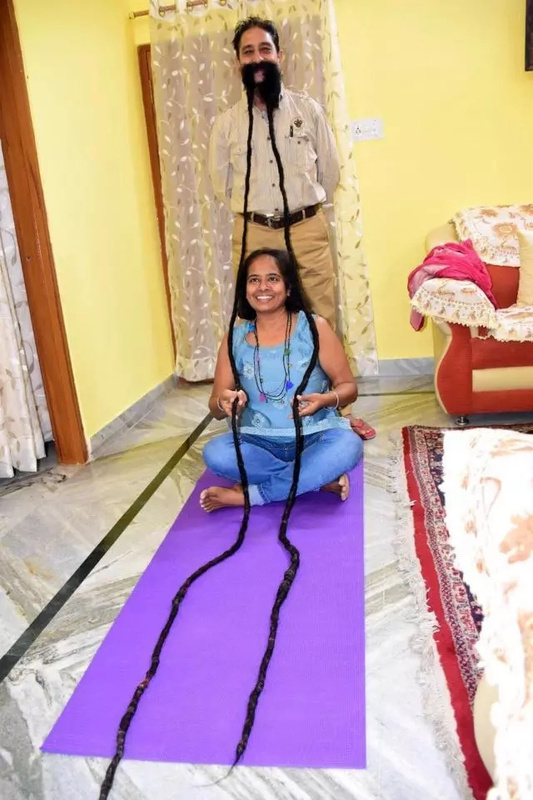 A 62-year-old man from Jaipur in India holds the Guinness World Record for the longest moustache. 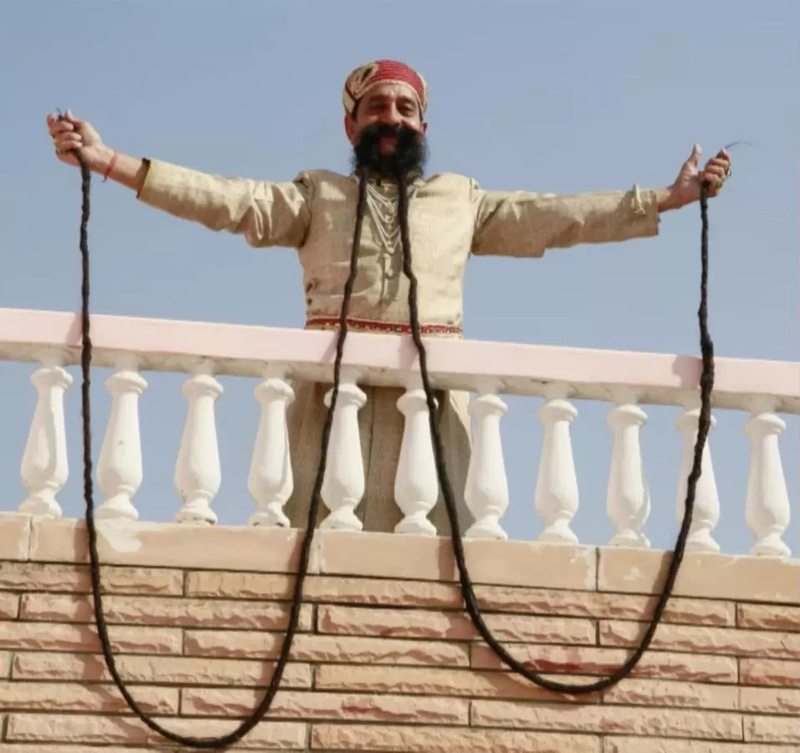 Ram Singh started growing his moustache in 1970 and has never cut it since then. That's an amazing 47 years. It now measures an incredible 18.5 feet (5.6 meters) long. Guinness World Records awarded him the coveted title in 2010. In an interview, he said he washes the locks once every two weeks. However, he spends up to two hours every day grooming it. He said: “I use various herbal oils to help maintain the health of my moustache. I massage my beard with a concoction of olive, mustard and coconut oil." 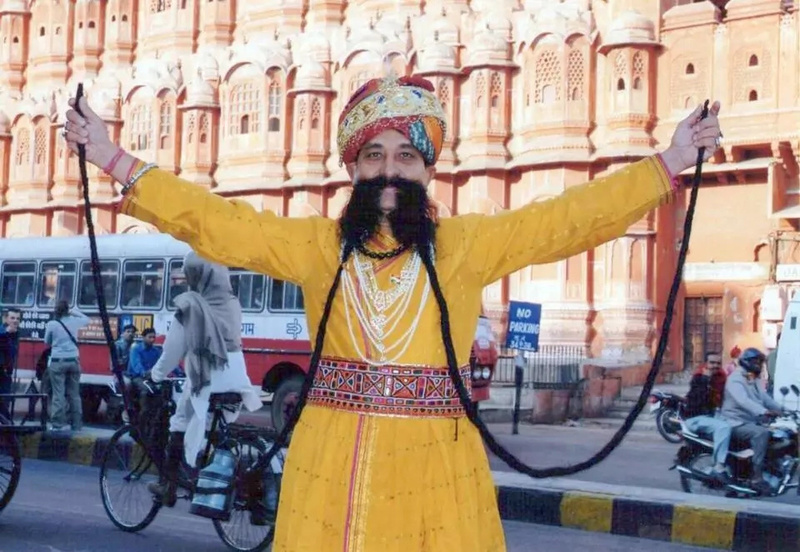 He has won praise for his moustache in India, where facial hair is a cultural symbol of pride for men.